Futspa Natural Skin Care – Toenail Fungus Nail Drops is a strong anti-fungal product that fights toenail fungus and athlete’s foot with natural ingredients that are anti-fungal, anti-bacterial, anti-viral, anti-inflammatory and antiseptic. This toenail fungus product comes with a 100% money back guarantee. Futspa’s blend of castor oil and other essential oils stop further germination of fungus. The product source does not contain the specific amounts (in milliliters) for each of these ingredients in the nail drop product. 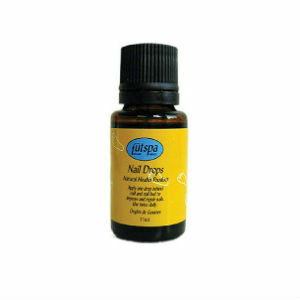 To apply the product put one or two drops of the fungus nail drop product under the nail and on the nail bed using the eye drop applicator that comes with each bottle, twice each day. If the nail has been thickened, file it so that it is thinner using a good quality nail file. Five drops of Fungus Nail Drop in a foot bath is also recommended. This product is expensive. A 17.5 milliliter bottle costs $35.50. A large bottle (50 ml) costs $64.00. Two 17.4 milliliter purchased as a package costs $62.50. Futspa offers a 100% purchase price refund guarantee if a customer is not satisfied with their purchase within the first 60 days. The Futspa web site contains instructions on using this guarantee. The product source also contains customer reviews and testimonials documenting customer experience using the product. Futspa Natural Skin Care – Toenail Fungus Nail Drops are a product worth trying despite the high price compared with other products on the market. The product comes in different bottle sizes so that a customer can buy the smaller sized bottle at a lower cost to try the product out before investing in a two bottle package or a larger size bottle to take advantage of product savings. The product vendor offers a reasonable return policy and product reviews are favorable. Jack Stevens	reviewed Futspa Natural Skin Care	on December 27th	 and gave it a rating of 3.5.